ADR Mobility, part of the ADR Group, signed a partnership with ParkCloud in August 2016, allowing customers to book a parking space directly from participating airports. Following fantastic results, ADR have decided to further the relationship with ParkCloud. Easy Parking is the official brand of the car parks at Rome Fiumicino and Ciampino airports, directly managed by Aeroporti di Roma. The partnership between ADR and ParkCloud allows customers to book a space in advance, insuring a safe, secure and covered parking space with easy access to the terminal – several in walking distance and one which offers a free shuttle bus service. As the collaboration has now developed to be stronger and longer, a further three new car parks will be available to be booked through ParkCloud. The first car park to go live in the deal was the Long Stay car park at Fiumicino, which saw a plethora of bookings. At Fiumicino, two new car parks have gone live – the Multi-Storey and the P4 – both onsite airport car parks. 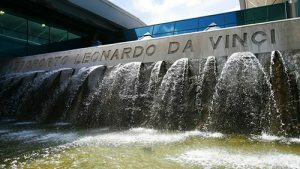 There is also a new car park live at Ciampino Airport for customers to book – the P4 – which is directly opposite the arrivals and departures terminal.